Since spiders are natural predators and other insects serve as their main source of sustenance; reducing the spider’s food supply through strategic pest control methods is recommended for effective control of other pests. Experienced Arizona Organic Pest & Termite Control technicians apply an integrated pest management plan to eliminate spider infestations. This includes the implementation of preventative measures, practical tips for improved sanitation and controlled applications of specific pest control products in targeted areas to ensure that spiders do not return or settle in on your property in the first place. Spiders crawl in through open windows, doors, cracks and crevices to look for food and make their nests inside your home or workplace. While most species of spiders in and around Phoenix do not pose a serious health threat, more people have an aversion, and in many cases an actual phobia, of this particular pest over any other. A spider infestation can be troublesome and even frightening for many individuals which may be due in part, to their unsightly appearance and physical similarity to the dangerous scorpion. Recent research conducted at Columbia University indicates that, our fear of spiders – a condition known as “arachnophobia” – is actually rooted in our DNA. According to the study, during the natural evolution of humans on the planet, most of the spiders encountered long ago were venomous and a threat to our survival. Spiders are still intensely disliked today and usually require professional assistance from a pest control expert when they have invaded our home or workplace. Arizona Organic Pest & Termite Control uses safe and effective spider pest control treatments that eliminate spiders and prevent recurring infestations on your property in Phoenix. 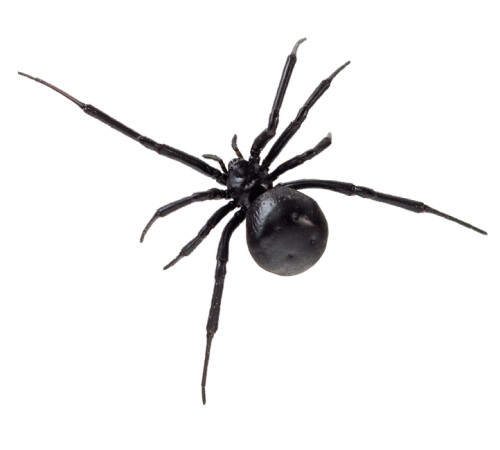 To learn more about spiders pest control contact a Arizona Organic Pest & Termite Control specialist for a free assessment. Approximately one million spiders inhabit one acre of land and up to 3 million spiders per acre in tropical regions. It is estimated that we are never ever more than 10 feet from a spider!